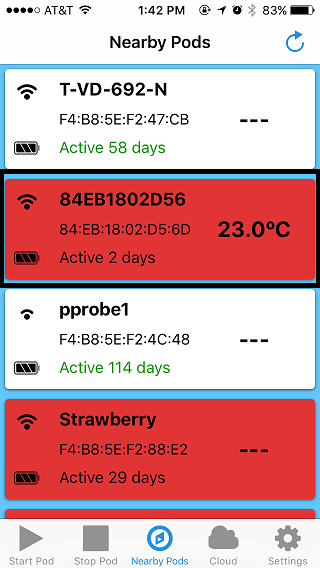 What do the different color boxes mean in the Nearby Pod screen? – Welcome to Verigo Support! There are 3 different colors that can displayed in the Nearby Pod screen. White means the Pod is active with no alerts. Red means the Pod is active and has an alert. Yellow means the Pod has advertised recently for easy identification in the Nearby Pod Screen.